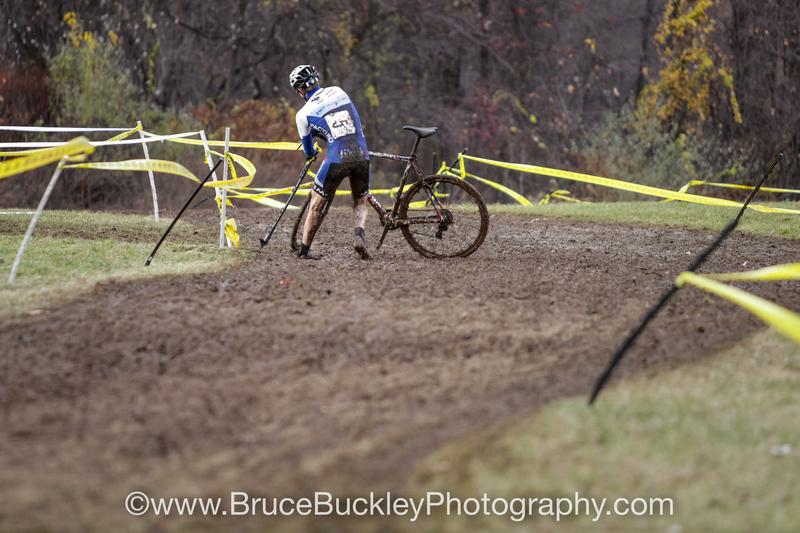 With a course that’s roughly 90-percent grass, conditions are likely to go one of two ways: dry speedway or muddy slog. 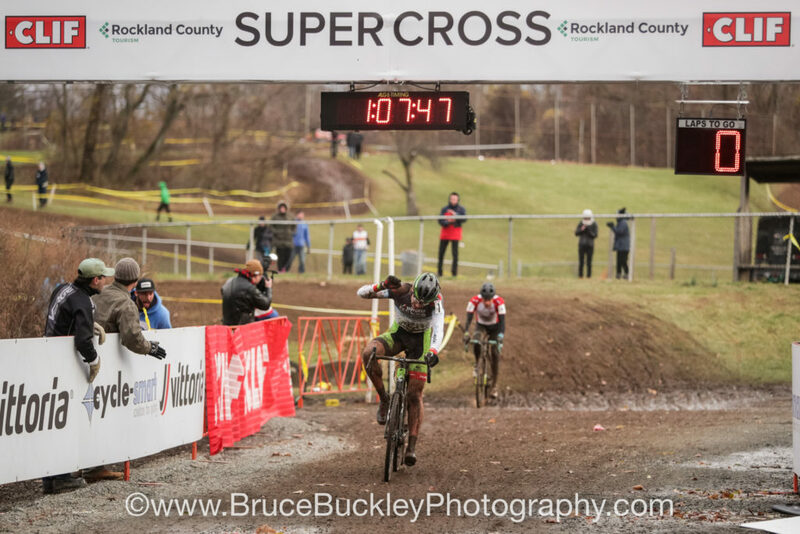 For the two-day Supercross Cup, it was both. Rockland Community College’s multiple muddy climbs took their toll on the women’s pro field as the race wore on. This year’s Supercross Cup—now part of the Vittoria Northeast cyclocross series—was held at a new venue, Rockland Community College in Suffern, N.Y. Organizers created a very challenging track, taking full advantage of the campus’ punchy pitches and off-camber options. On day one, racers hammered across a mostly firm and fast route in 60-degree temperatures, but a rain-snow mix overnight turned the turf to mush for chilly day two that never warmed up above the 30s. 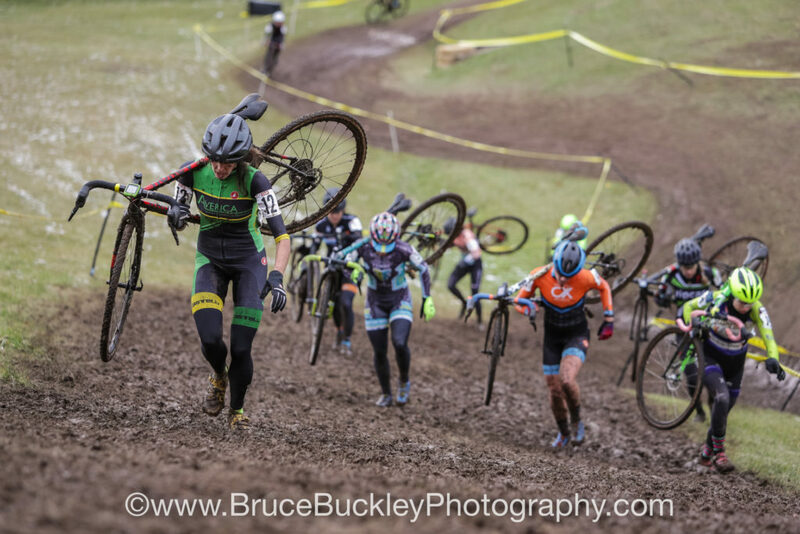 The course’s multiple steep climbs became muddy marches and the off-camber approaches on the venue’s numerous side-hills and embankments sent many racers tumbling. 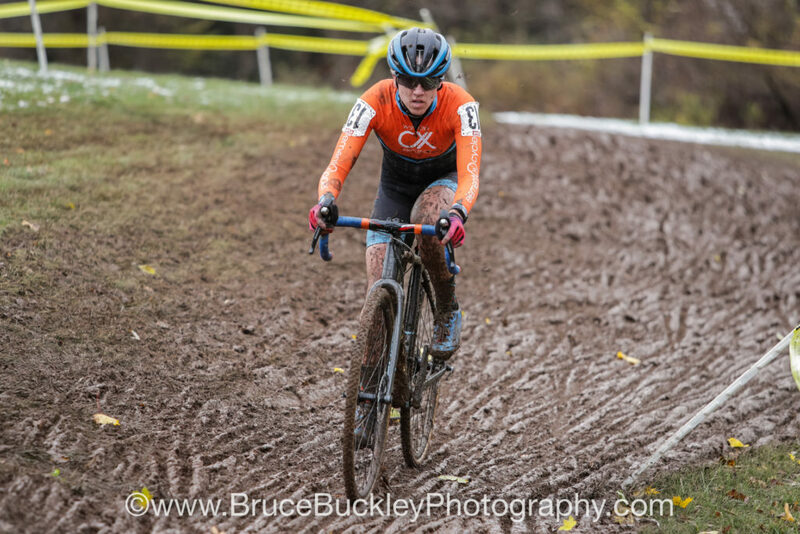 Rebecca Fahringer (Amy D Foundation) proved she’s just as strong in the mud as she is in dry grass, finishing in third on both days. 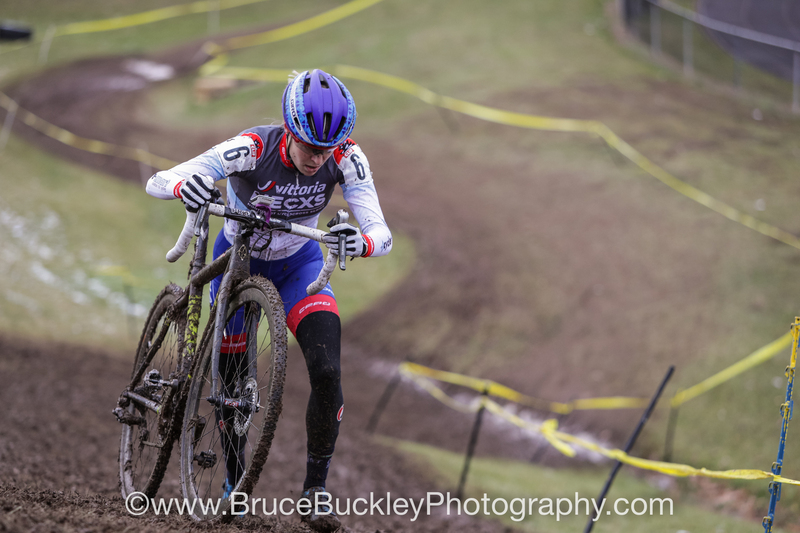 Despite the extreme changes in conditions, the pro races saw many of the same names hit the podium both Saturday and Sunday. 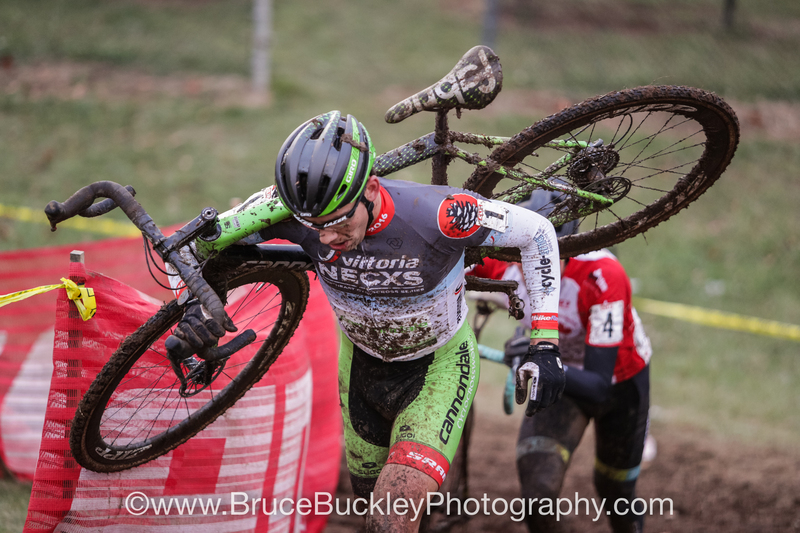 In the women’s field, it was a dominant weekend for Canadian champ Maghalie Rochette (CLIF Pro Team), who followed up her solo victory on Saturday with a win in the mud on Sunday, besting the rest by 1:45. 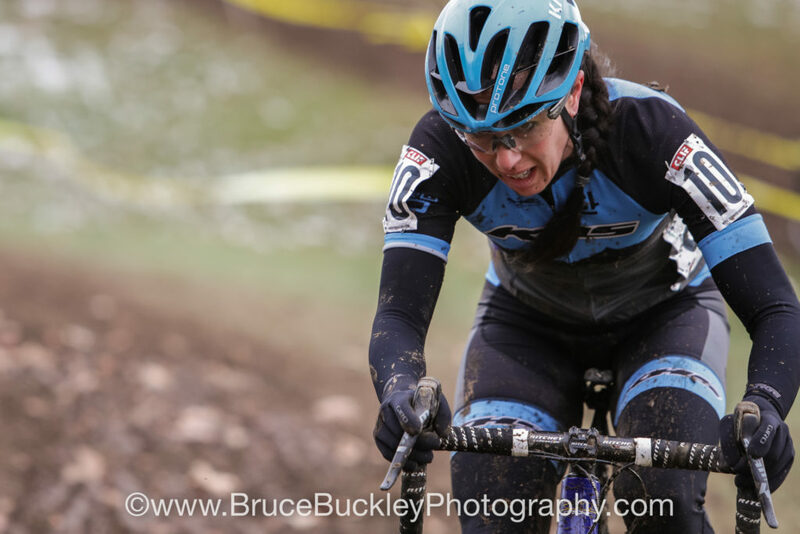 After dropping her chain at the start, Crystal Anthony (Maxxis-Shimano) was able to chase back on and eventually pull away from the pack to take her second second-place finish of the weekend. 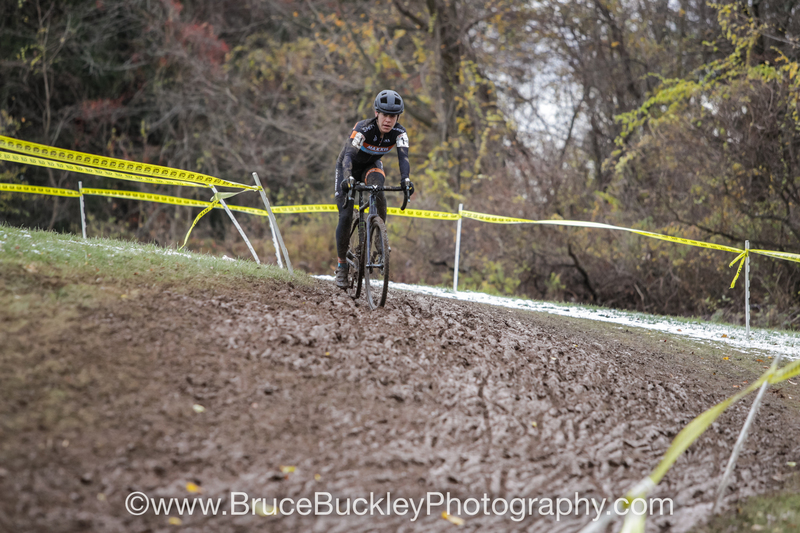 Rebecca Fahringer (Amy D Foundation) also showed her strength in all conditions, repeating in third. The most improved performance came from Jennifer Malik (Women’s CX Project), who finished in fourth on Sunday after a 12th place finish the previous day. 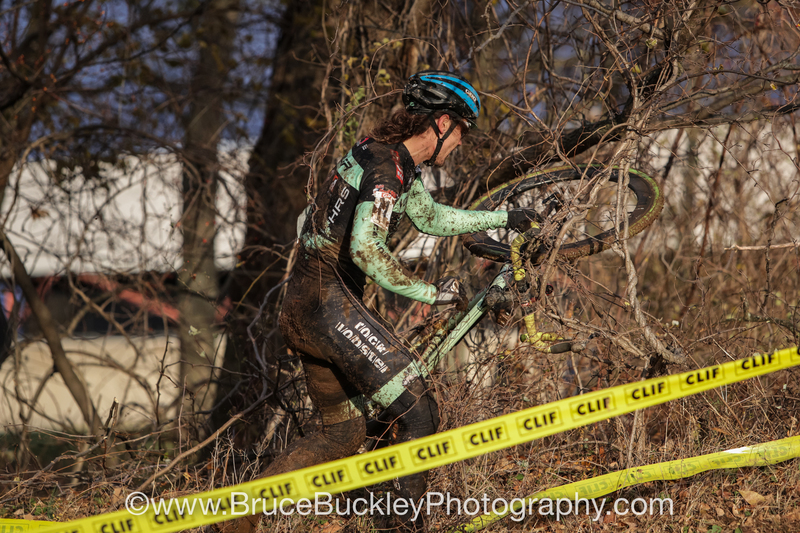 Maghalie Rochette (CLIF Pro Team) made it obvious early that she was ready dominate the field again on day two, pulling away on the first lap. 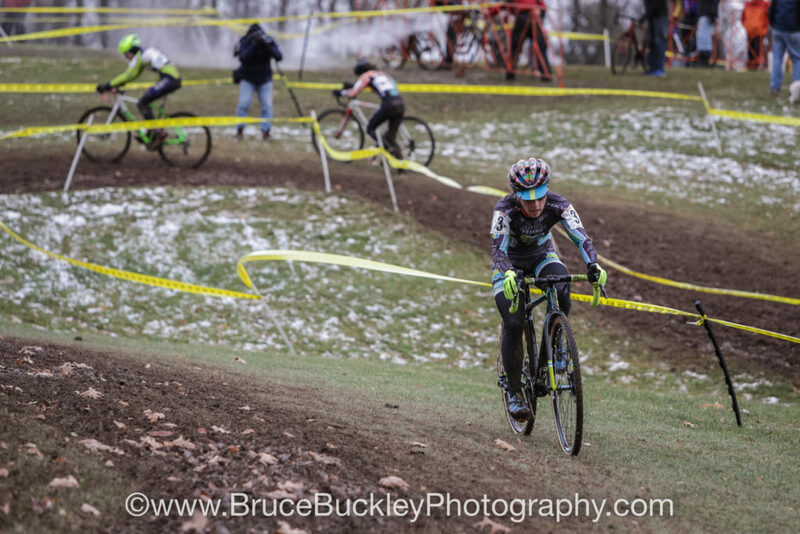 Jennifer Malik (Women’s CX Project) put in an impressive performance on Sunday, who finished in fourth. The men’s field saw more of a shuffling on the podium. 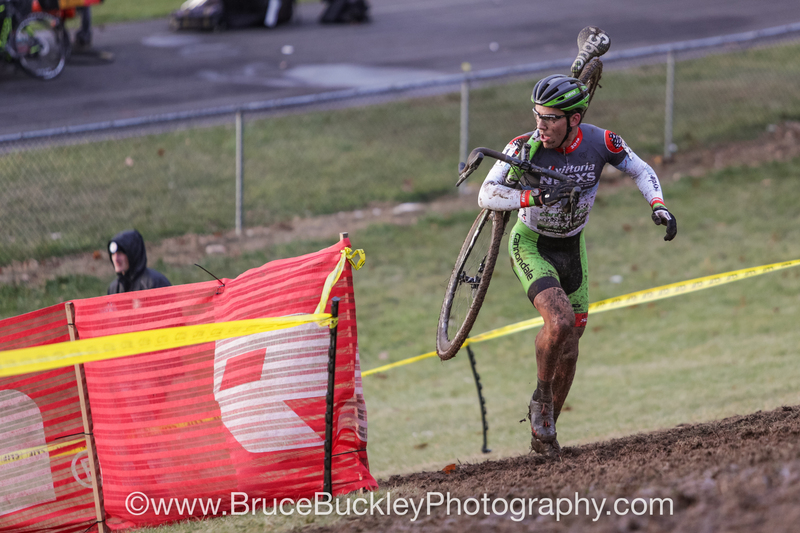 Curtis White (Cannondale) was nipped at the line on Saturday, losing the day to Jack Kisseberth (Jam/NCC). 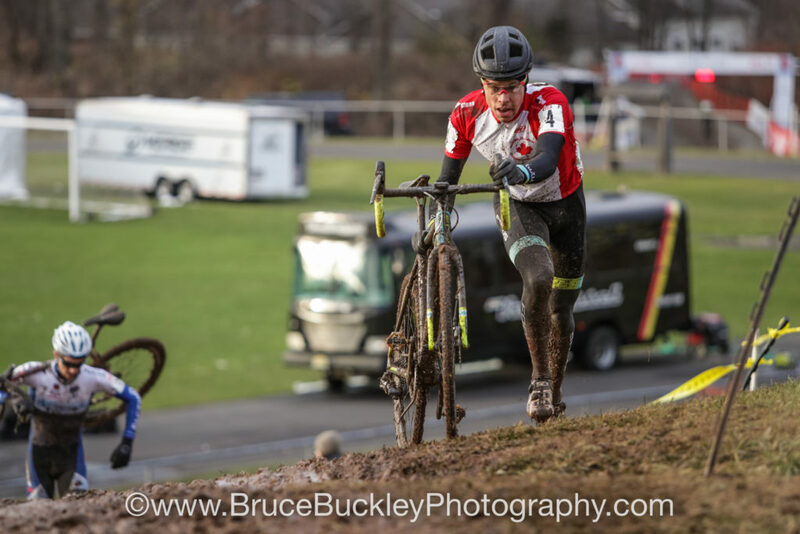 On Sunday, he once again found himself racing right to the line—this time facing off against Jeremy Martin (Focus CX Canada). 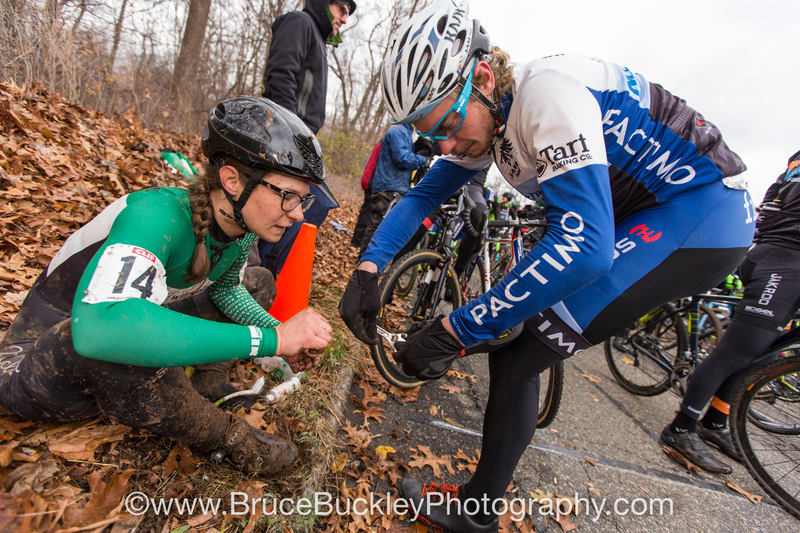 After enduring multiple long slippery climbs during the women’s race, Brittlee Bowman (House Ind/Withings/Simplehuman) removed her toe spikes and offered them to Scott Smith (Jam/NCC) at the start of the men’s race. 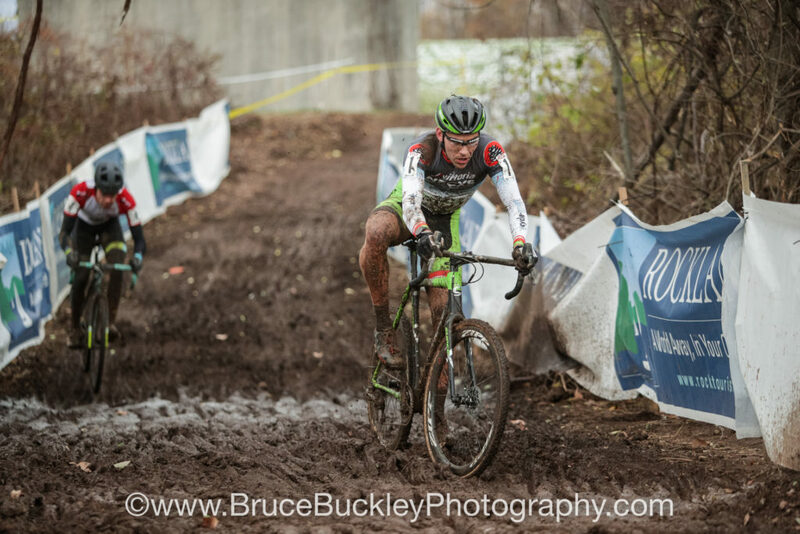 Curtis White (Cannondale-Cyclocrossworld) made a statement from the start, remaining out front for the majority of the race. From lap one, White got away from the competition and held off all chasers until the final lap, when Martin finally reeled him in. The two were shoulder to shoulder through many of the run-ups late in the lap, but in the end White had more left in the tank and he pulled away from Martin in the final turn. On the final runups, White and Martin trading positions back and forth at the head of the race. After a tough loss on Saturday, it was redemption for White as he gapped Martin in the final turn. White retained his leaders jersey in the Vittoria Northeast cyclocross series. Kisserberth had his struggles in the mud and finished in third. Todd Wells (SRAM/TLD/Scott)—who finished fifth on Saturday—slowly worked his way through the pack on day two to earn an impressive fourth place finish. Coop Willsey (Furman University)—who finished fourth behind Travis Livermon (Maxxis-Shimano) on Saturday—bested Livermon on day two to take the final spot on the podium. After his win on day one, Jack Kisseberth (Jam/NCC) had his share of struggles in the mud on day two. A strong showing on the weekend by Arley Kemmerer (Fearless Femme) with 6th place finishes both day at Supercross Cup. Rebecca Gross (Zero D Racing) bettered her 13th place on Saturday with a 7th place in the mud on Sunday. 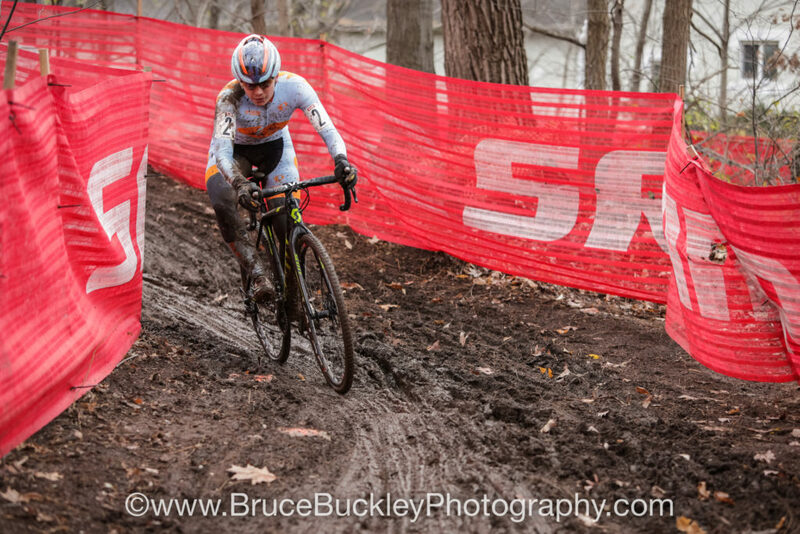 Crystal Anthony (Maxxis-Shimano) dropped her chain at the start, but was able to work her way back through the field to take second place finish on Sunday. 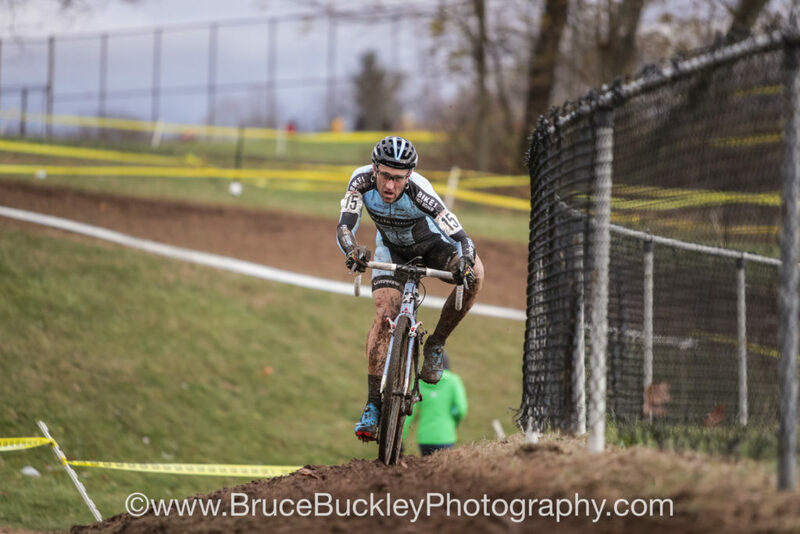 Todd Wells (SRAM/TLD/Scott) showed his power in the mud, finishing in fourth. In the closing laps of the race, White could see the gap closing for his chasers. – Jeremy Martin (Focus CX Canada) gave Canadian ‘cross fans even more to cheer for on day two, as he reeled in White. 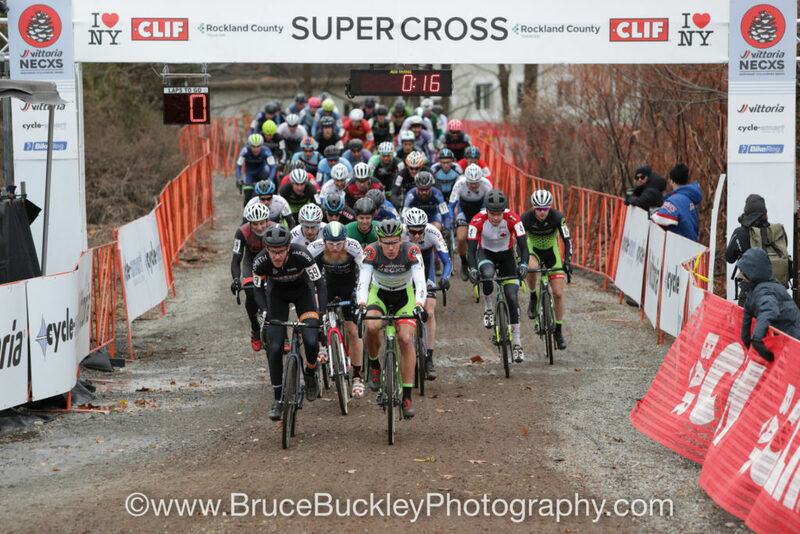 Coop Willsey (Furman University) earned podium spots on both days at Supercross Cup. Blue Carebear (pictured left) was not impressed. 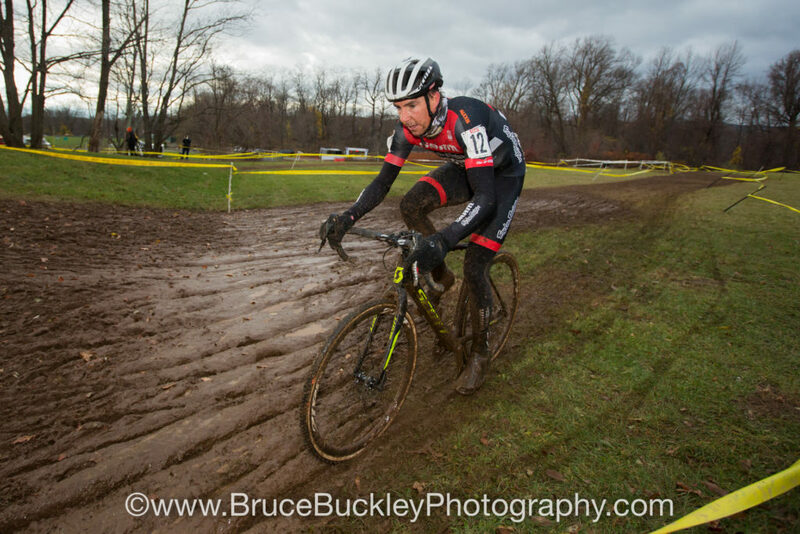 Slick conditions sent many racers off course and, in Andrew Juiliano’s (Voler/CLIF/HRS/Rock Lobster) case, sent him into the brambles. 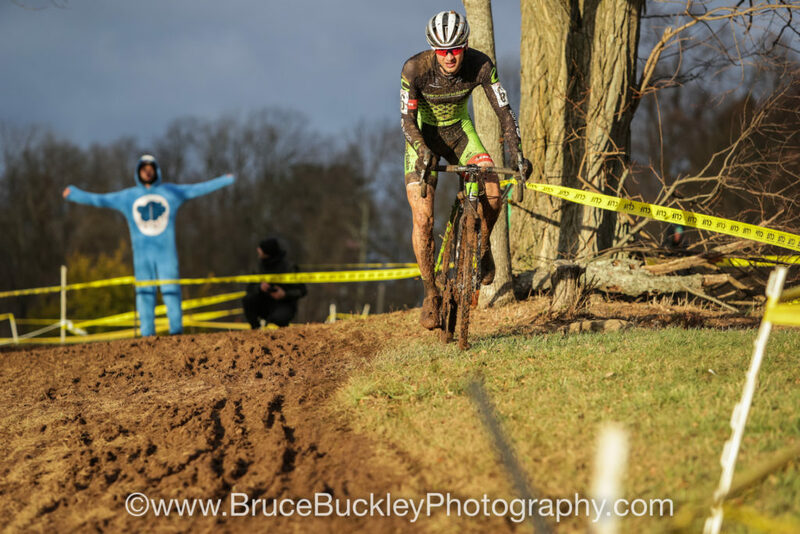 The course’s numerous off-camber embankments challenge even seasoned vets like Adam Myerson (Cycle-Smart) to stay firmly planted. As they approached the final sections of the race, Martin had White in his sights.